If you want to make a living by selling stock photographs, you need to fully understand what people are looking for, what they are willing to pay for, and what you are going to get paid for your work. To start with, you are not going to make a fortune by selling photographs in small batches. The stock photography market works a little differently these days. You need to spend a great deal of time taking photographs and uploading them to the microstock websites located across the Internet. On average, most microstock photographers expect to make between $1 and $2 per photograph each year. That may not sound like much, but if you can take hundreds of different photographs and then work with other routes to income as a photographer, you can start making a decent profit soon enough in your role. It make take a few years to make a full time living, but once you have a profile of thousands of photos, they continue to sell each year on a rotating, residual basis. And there are a lot of people who buy those photographs. Everyone from web designers to magazine editors to teachers and lawyers use them in their every day work efforts and that’s just the tip of the iceberg. Of course, you need to know what images they are looking for most frequently and then how to market to those particular people. The best images you can take shots of are those that show people in their everyday lives or of pets or of animals in the wild. The reason for this is that photos of things like natural wonders or buildings are a dime a dozen. One picture of the Statue of the Liberty looks like the next these days. However, every person or animal looks different and so they each have their own value to those who are looking to buy photos – yours can stand out in different ways and will sell many times better than the photos that don’t fit that category. You’ll need to, of course, spend a bit of time working out for yourself what will sell and what won’t. There is a whole world of different options on the market that may or may not sell depending on what you are willing to photograph. 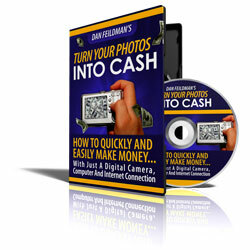 For those interested in taking photographs and selling them to microstock sites for a living, there is a very real market out there for you – just start looking into the different ways that you can learn the business, such as through Photo Cash Machine.